There’s nothing more heartwarming than sitting down to drink in a traditional pub or bar where the fire is crackling away and the scent of mulled wine is in the air. 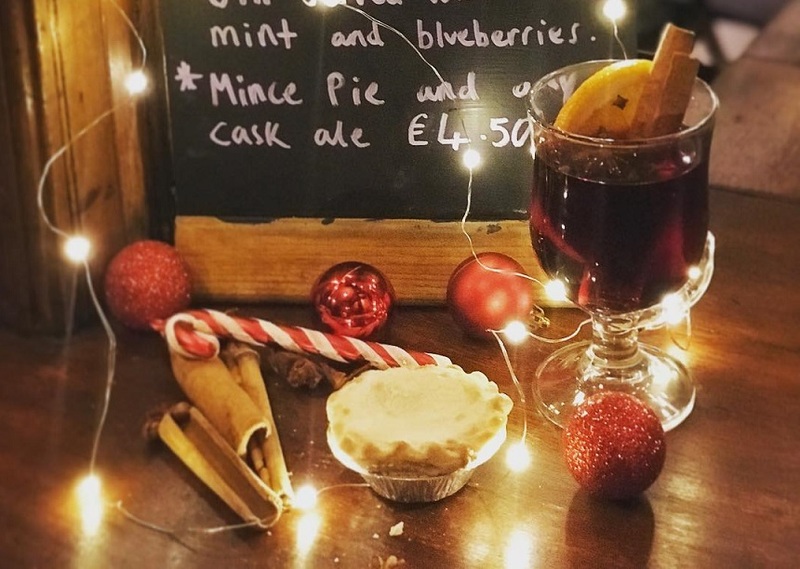 We’ve found all the best and cosiest bars and pubs in Liverpool that deliver warm fuzzy festive feelings from the moment you walk in. Here’s where you can share the best winter drinks in Liverpool with friends in all the cosiest bars and pubs in the city. 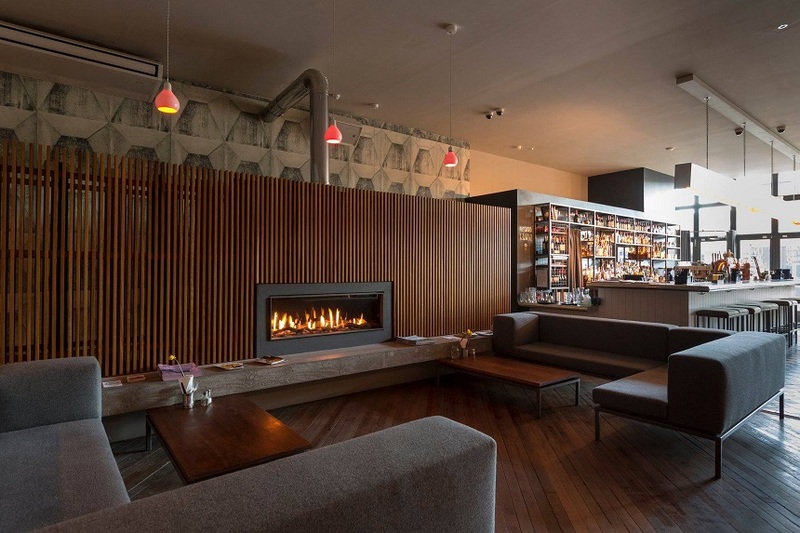 As the name strongly suggests, inside Camp and Furnace there lies a huge wood burning stove that’s sits smouldering directly adjacent the Furnace Bar. 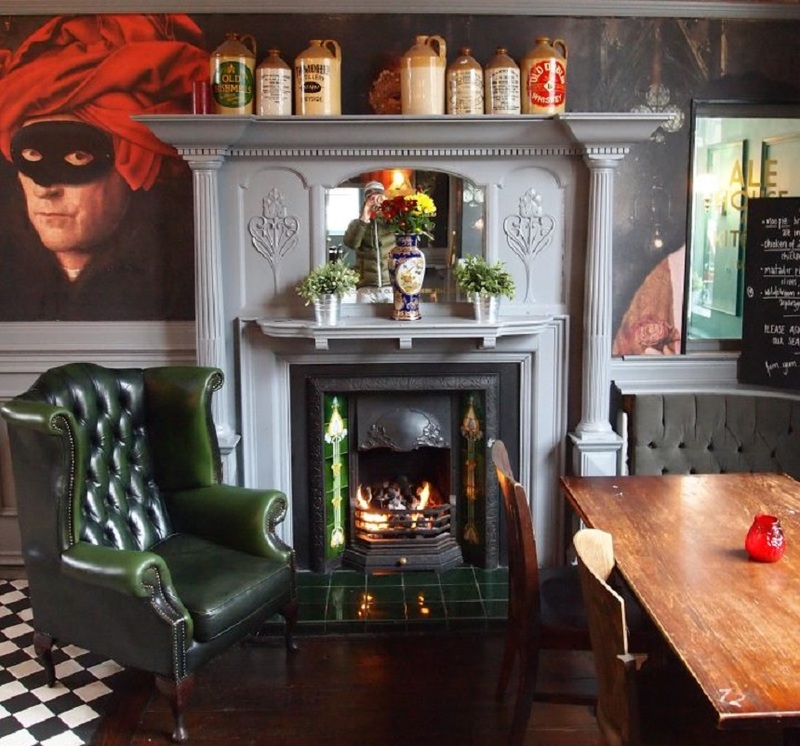 In here you can pick up a pint or a coffee and huddle together with friends and loved ones next to the roaring fire. Have a natter and a catch up over a drink or two then it’s out into the Baltic Triangle for a good old knees up. Only with us for a very short time in at the end of each year, Bar Hütte is a favourite among Christmas drinkers in Liverpool. The cosy welcoming atmosphere makes you feel all warm and wrapped up, just like a present under a giant Christmas tree. 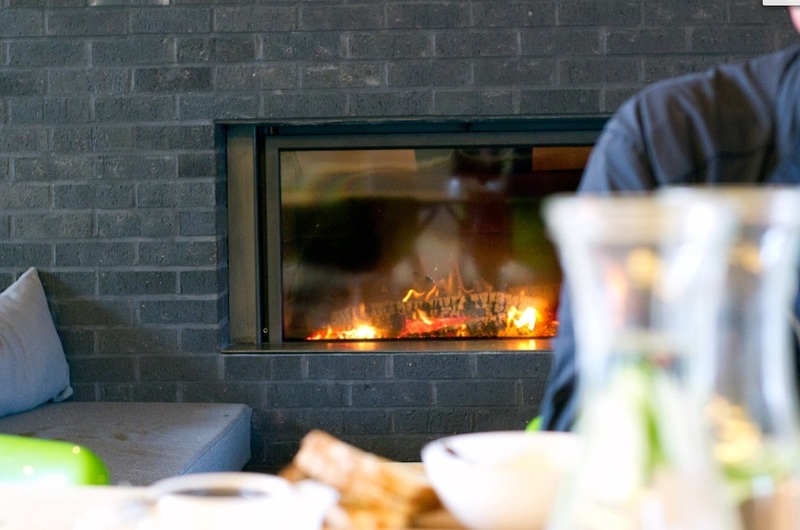 In the centre, the flames of an open fire lick the edges of a surrounding table and heat the individual ski type cabins. 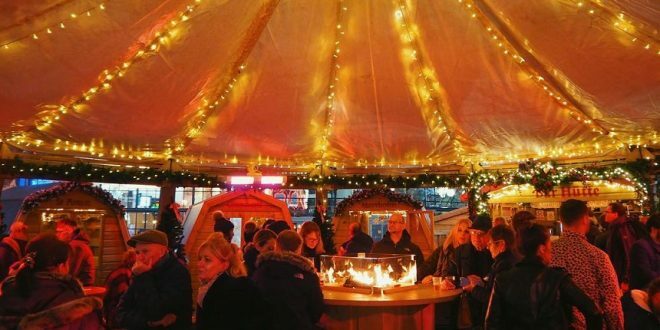 Grab hot ciders, mulled wine or warm flavoured Gins, during a Christmas shopping trip and hunker down in Bar Hütte for a cosy winter drink in Liverpool. 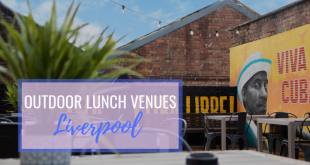 Hidden away down by the water, Jenny’s is a well-kept secret among Liverpool locals. Furnished with plush velvety fabrics and intimate booth seating, the entire place glows in a hazy green light, inviting people in for snuggly winter drinks. A long list of warming winter cocktails awaits those who descend the secluded stairs to drink tucked in below the bustling streets of the city. 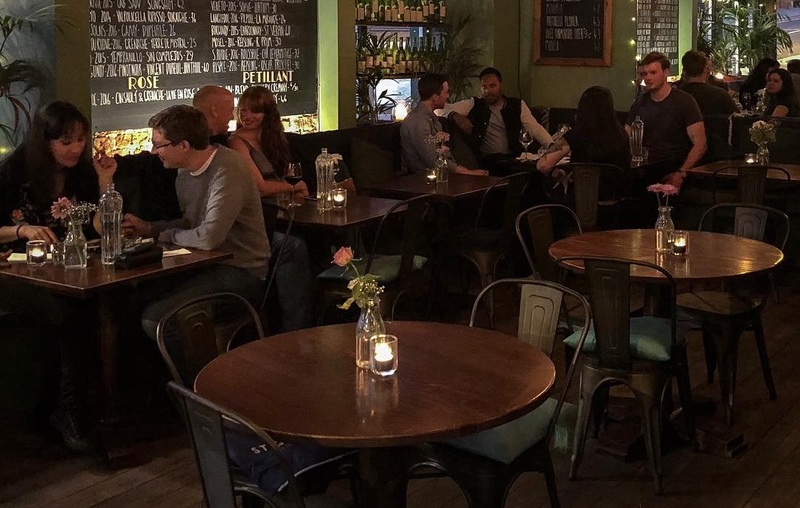 Forget the fact that the Everyman Bistro is home to the best live jazz nights in Liverpool, it’s also one of the cosiest places to drink in the city. The low-level ceilings exposed brick walls and industrial style lighting give a warm and cosy atmosphere, not to mention the log burning stove nestled in its own special alcove in the walls to huddle around. 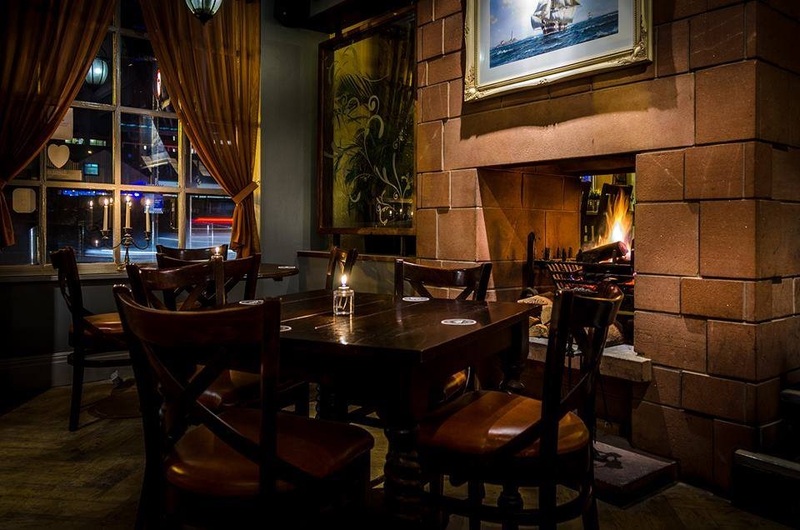 Nestled between two of Liverpool’s greatest landmarks is Frederiks, the hub of the Georgian Quarter and the perfect place to enjoy a cosy drink in Liverpool this winter. Take a pew on the comfortable seating right next to the ever-burning fire and your you cockles with a choice of exquisite 40’s inspired cocktails. A country pub in the heart of Liverpool, The Monro, wouldn’t be out of place at the foot of a rolling hill in the Yorkshire Dales. The interior is quaint and charming, complemented perfectly by a huge hearth filled with hypnotic fire throughout the winter months. 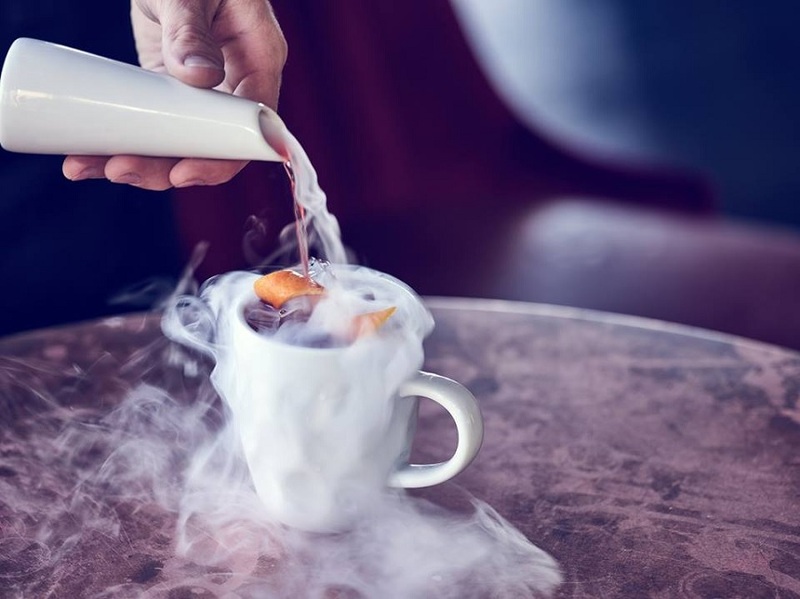 Enjoy a hearty meal from the gastronomic menu or simply sup up on mulled wine or a goblet of festively flavoured Gin from the extensive speciality Gin list. People visit for the legendary loo’s but inside The Philharmonic Dining Rooms in Liverpool have a lot more to offer than fancy lavatories. Sit yourself down in with a cup of steaming hot mulled wine or spiced cider in one of the ancient leather wingback chairs and admire the striking internal décor of the bar. Stained glass, intricate tile flooring and dark mahogany wood make it feel festive cosy all year long in ‘the Phil’. 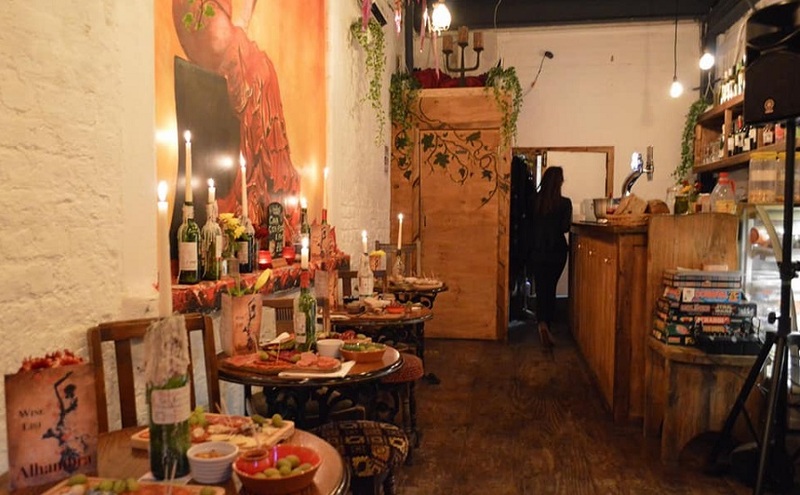 Tucked away in the courtyard of the old Cains Brewery Village is a hidden gem of a cosy Spanish wine bar named Alhambra. There’s barely enough room to swing a cat inside where barrels and quaint roundtables will seat a lucky few. Outside snuggle together under a fairy-lit canopy and enjoy hot mulled wine by candlelight. Ever walked in somewhere and thought . . . “Wow! It looks like Christmas threw up in here” well that’s what awaits at Miracle on Seel Street this year. 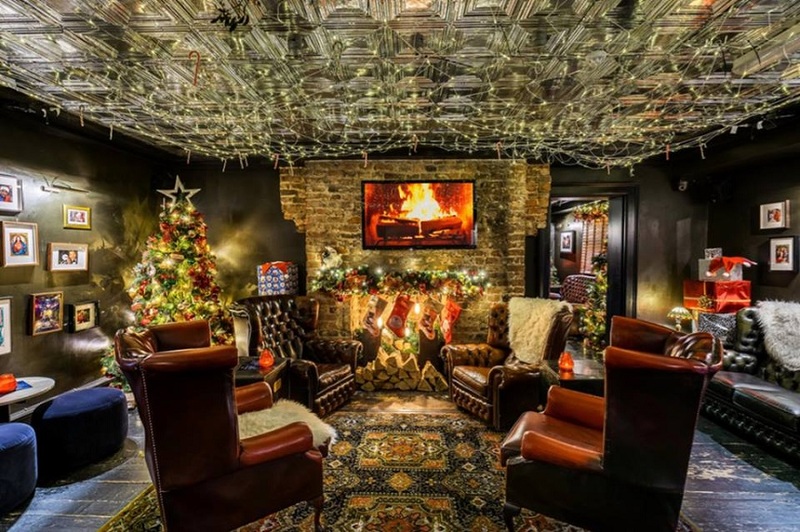 Enter a bar that could easily double as Santa’s own living room, complete with leather chairs, furry throws and presents under the tree. There’s even a roaring fire burning (on a TV) and of course enough mulled wine to drown all nine of Santa’s reindeers. Nestled in the shadow of Liverpool Parish Church, Ma Boyles is a snugly little haven in Liverpool perfect for enjoying cosy winter drinks. The red velvet décor and jewel tone walls simply scream winter time warmth and better still the festive afternoon tea is delicious and comes with bottomless prosecco of Aperol Spritz. Near to the Bluecoat, there’s a tiny little venue whose light spills out onto the darkened streets outside welcoming people in. 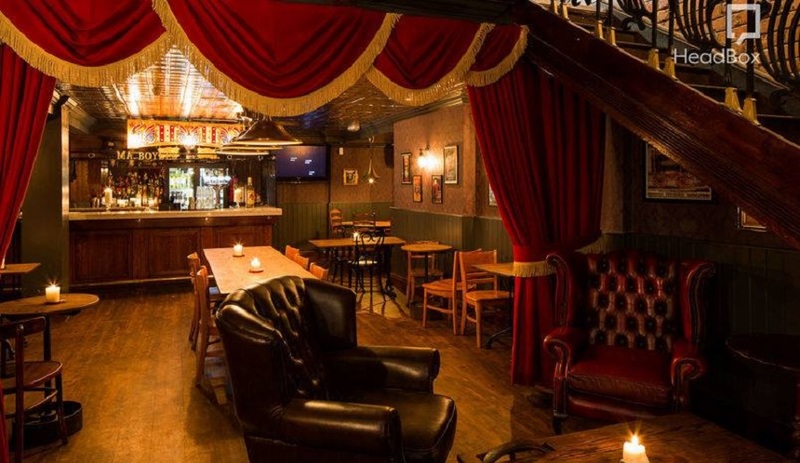 That and the amazing swing chair make the Brass Monkey a wonderful place to enjoy cosy winter drinks in Liverpool. Swing on the chairs or huddle in one of the private booths with someone special. Part of the group who own and pirate the Alchemist, Aether is a trendy place to drink all year round, but in winter its dark and inviting décor makes it a place to enjoy a truly cosy cocktail or two. Huddle into the outdoor seating surrounded by burning heater lamps to keep you warm or sit inside looking out into the chilly night enjoying their signature drink the Volcano. Forget summering in the Hamptons and instead do Christmas in Liverpool ONE’s Club House where they’ve brought a taste of the classic Christmas look to the city for the festive season. Hunker down in the Club House Lodge where a sizzling stove will be burning all night long and swathes of warming rust colour fabrics envelop you like a snuggly cuddle from a friend. Where the welcome is as warm and toasty as the atmosphere, The Grapes is one of those neighbourhood pubs in Liverpool that invites one and all to enjoy a tipple with friends. 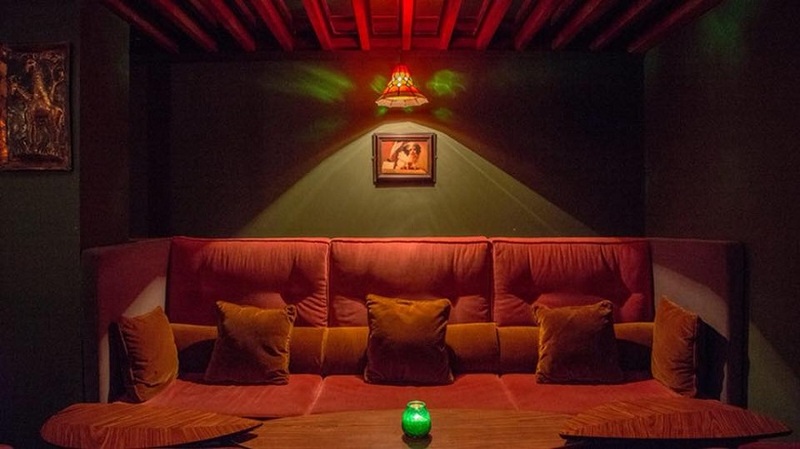 The snug bar has plenty of seating arranged in cosy little corners downstairs and hidden above is a charming courtyard with a covered area and comfy seats. 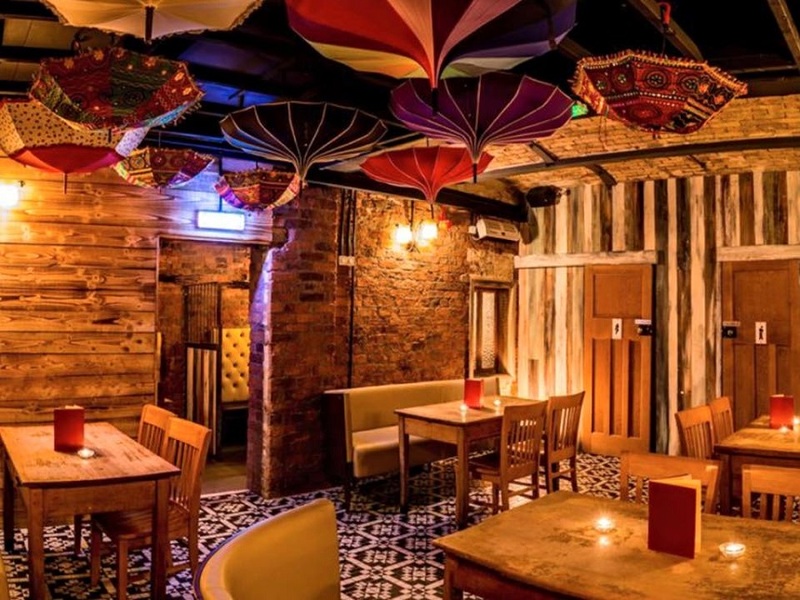 Everything from the sunset shade of the paint on the walls to the quirky tropical artwork and décor makes The Grapes the snuggest place to enjoy cosy winter drinks in Liverpool this season. 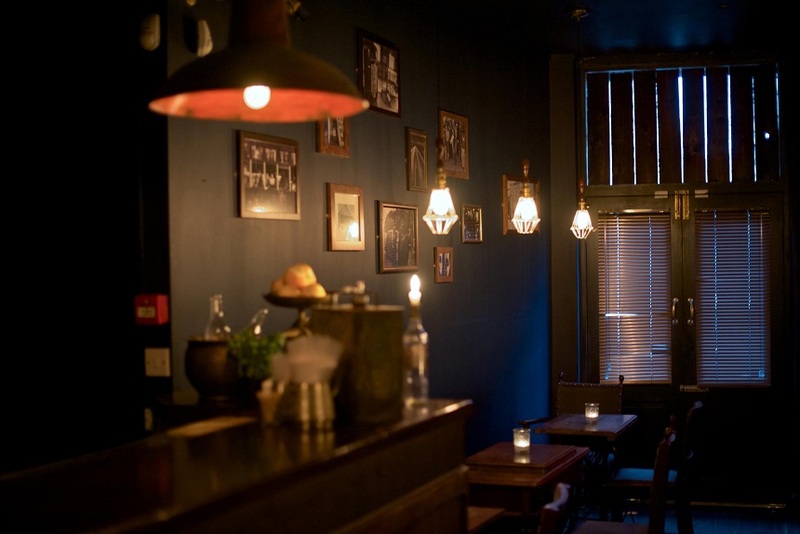 Take a peek behind a blackened curtain to find a cosy candlelit cavern filled with Whiskey, Blues Gin and Jazz. 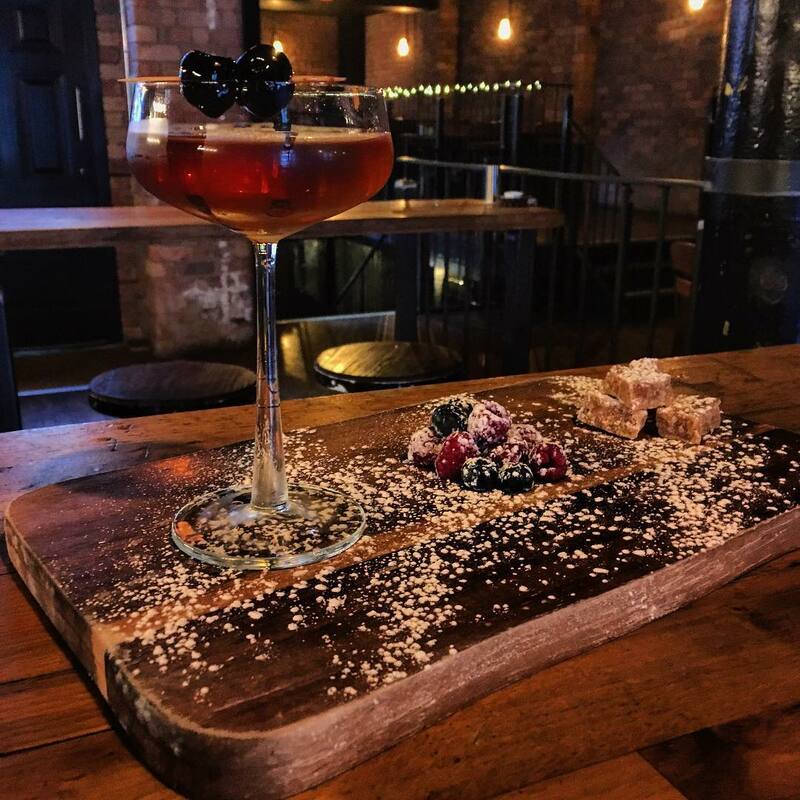 The speakeasy is one of Liverpool’s popular drinking haunts where the clandestine drinking of the Prohibition era has been jazzed up for the modern drinker in Liverpool. Sip on the best Irish coffees in town and warm your soul listening to live jazz and the hushed conversations all around you. When the cold snap comes there’s nothing more magical than popping into a boozer with a crackling open fire. Located in the historic Georgian Quarter the bar itself looks like its jumped straight out of a Dicken’s novel, with pine green walls and carved wooden furnishings. Best of all there’s a Gin list as long as your arm to choose from for a delicious wintery tipple by the fire. 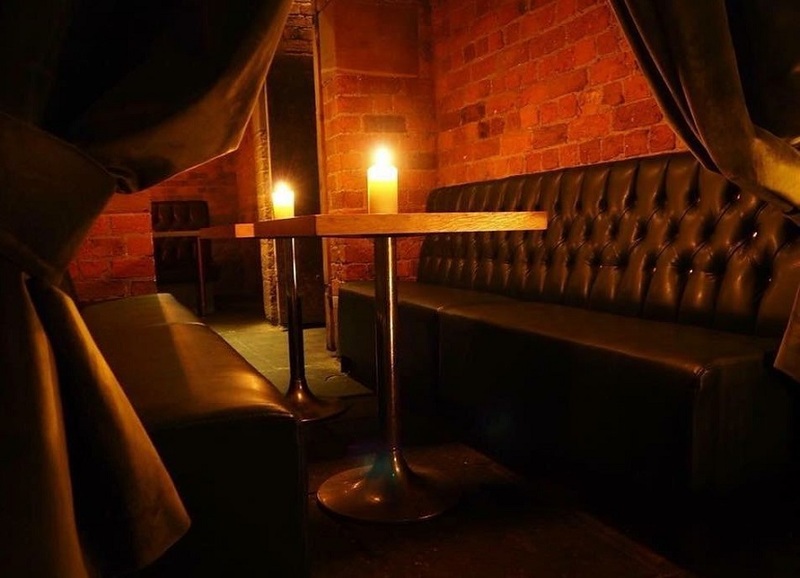 Come to Furnivals Well where old Victorian jail cells have been converted into cosy candlelit booths and the original cell doors close you in from the world outside. Or pop outside into the Winter Garden and grab a delicious hot bite to eat whilst supping your Hot Gin or Mulled Cider. Cute, quaint, cosy and French. Petit Café du Coin is a taste of the Provencal in Liverpool. Pop in and grab a pew and start glugging red wine and nibbling cheese, a quintessentially chic way to enjoy cosy winter drinks in Liverpool just watching the world go by outside. If you find yourself freezing on Lark Lane, pop in and warm up and Love and Rockets where the cool and quirky interior and friendly relaxed vibes will get you feeling warm and fuzzy again. 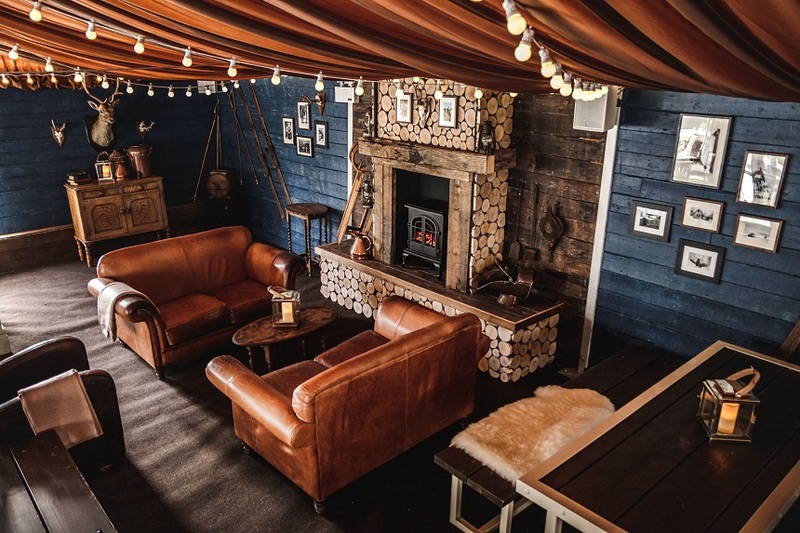 A large log burning stove sits in the centre of rustic style seating, perfect for snuggling up with friends and loved ones during winter in Liverpool. From the log burning stoves to the industrial chic décor, Clockworks is a perfect place to enjoy cosy winter drinks in Liverpool this festive season. Enjoy a classy Christmas cocktail complete with snow-dusted nibbles or a heart-warming hot toddy for those extra chilly days. A home away from home for some, The Lodge Bar has an old-school pub vibe, the kind of which you’d expect to find in the furthest reaches of UK countryside. Burning fires and hearty meals are usually the order of the day in The Lodge and during the festive season, you can bet your bottom dollar a warming winter beverage or clever Christmas cocktail will be waiting too. 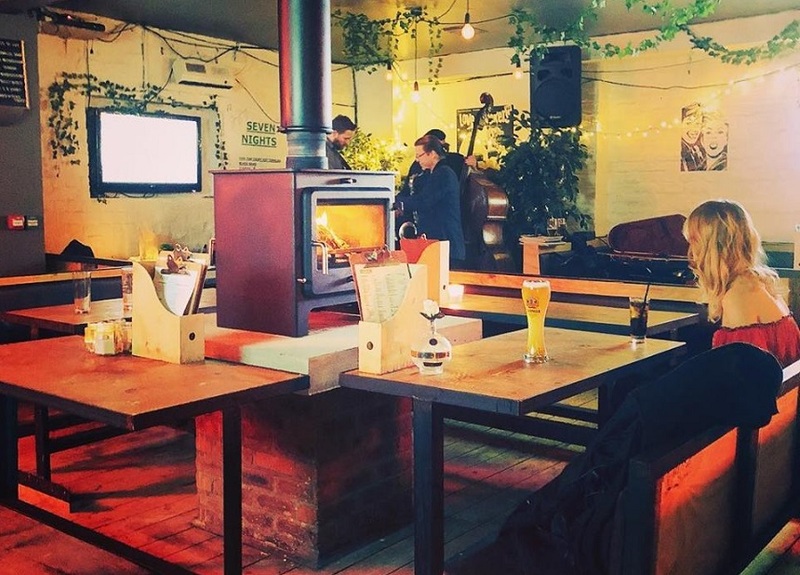 All over Liverpool, people will be looking for the perfect places to enjoy cosy winter drinks and our guide covers all the best bars and pubs in Liverpool for you to do just that. 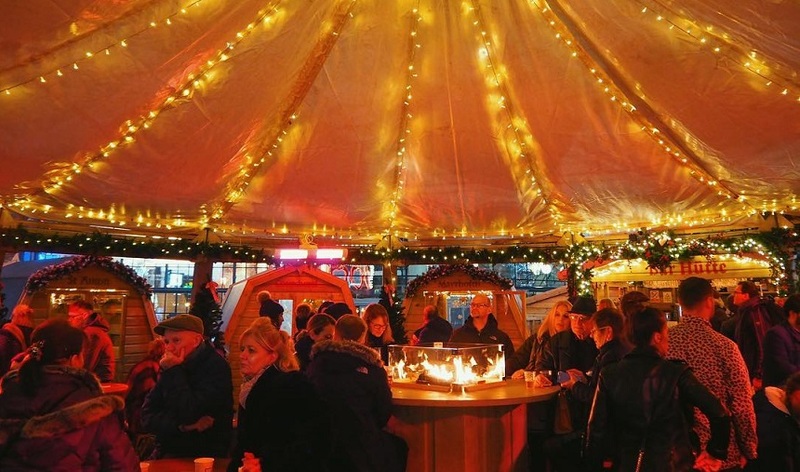 You can also check out our guide to Christmas in Liverpool and explore the Christmas Markets for a mug of mulled wine or attend one of the fabulous pop-up events occurring throughout the festive season. 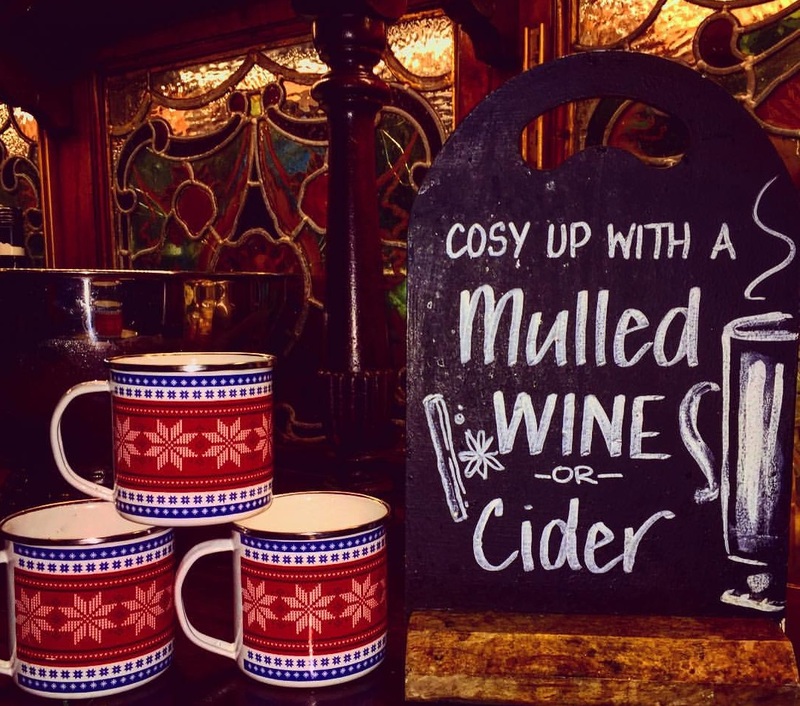 It’s the most wonderful time of the year and there’s no better way to spend it than wrapped up in cosiest bars and pubs in Liverpool sat by roaring open fires with your lips wrapped around a festively spiced beverage.